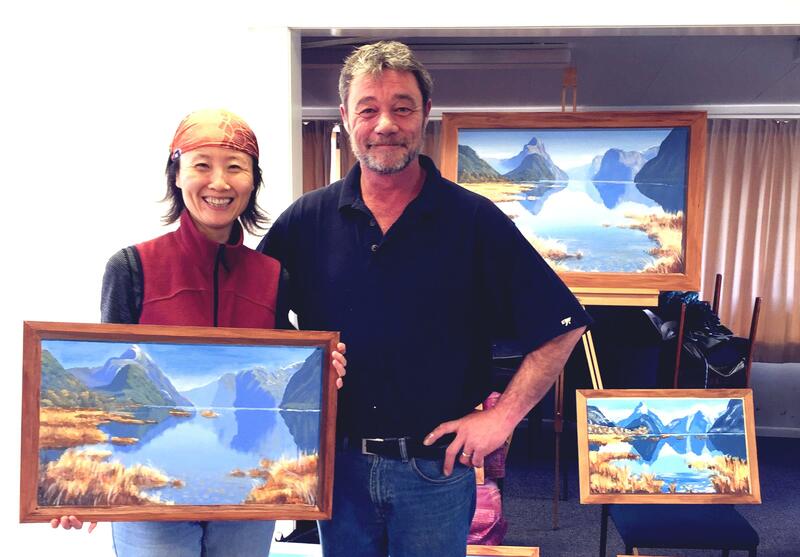 Launch or enrich your painting career with tuition by Marc. 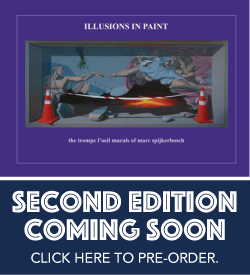 Whatever your current level of ability, tuition by Marc will empower your painting career with sound advice, tricks and techniques learned from 25 years in the professional field. 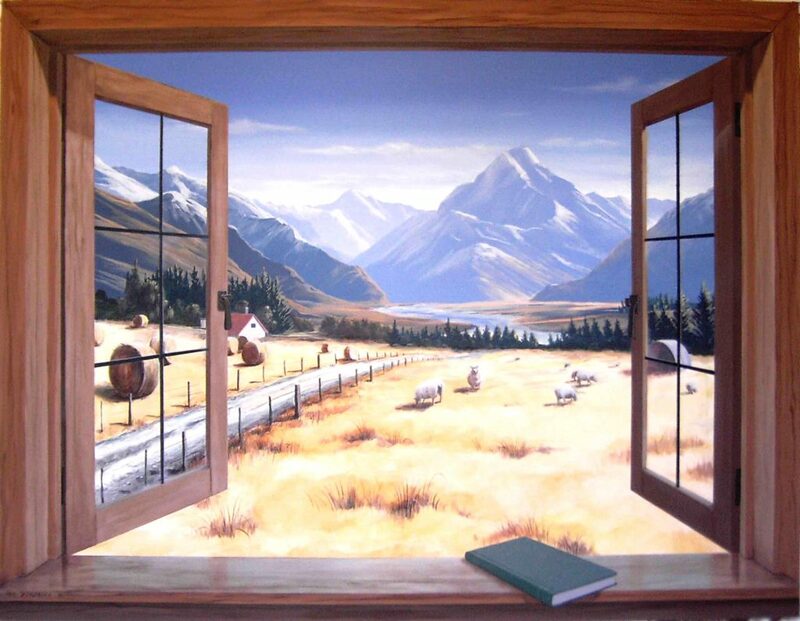 Trompe l’oeil is a multi-faceted discipline covering an extremely wide range of artistic realms including: landscapes, portraiture, still life, perspective, architecture and faux effects (marbling, wood-graining etc). 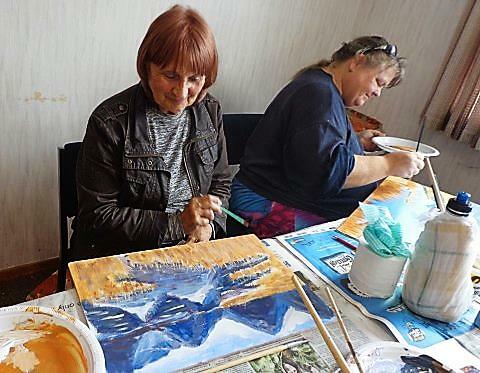 There is a course to suit everyone, of all abilities. Be quick to secure your place on one or more of the studio workshops currently on offer for 2017, or, for established art groups and societies – Marc will run a custom workshop at your preferred venue. 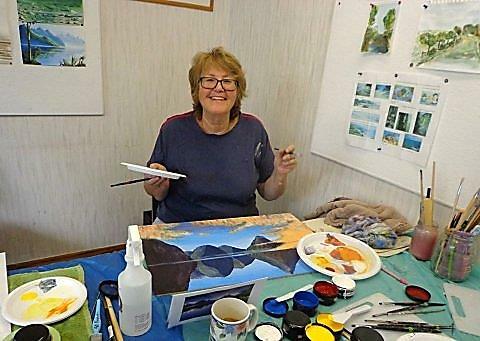 – Robyn Watchorn, President, Whakatane Arts Society. 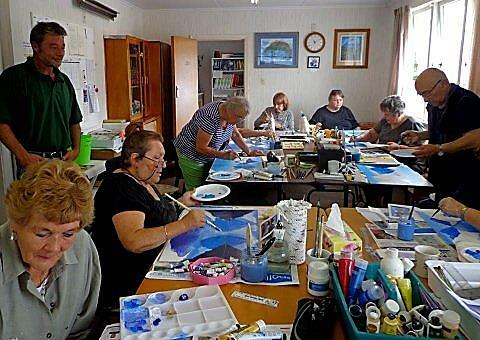 Two day weekend workshops covering the fundamentals of landscape painting – materials and techniques, glazing, colour and composition. From beginners to the more experienced … everything you need to launch or advance your painting career. Numbers strictly limited. All materials supplied. 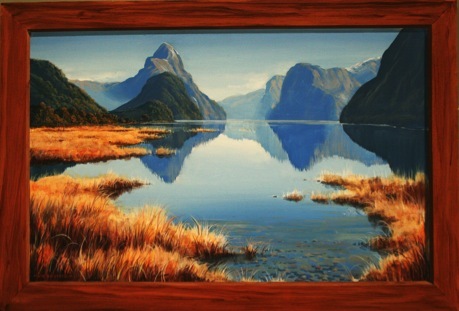 A 3-day course covering the key components of classic trompe l’oeil – including landscape painting, perspective, faux effects – materials and techniques, composition, colour, light and shadow. Suitable all levels of experience.